Hopefully you have successfully installed UVdesk opensource helpdesk project. 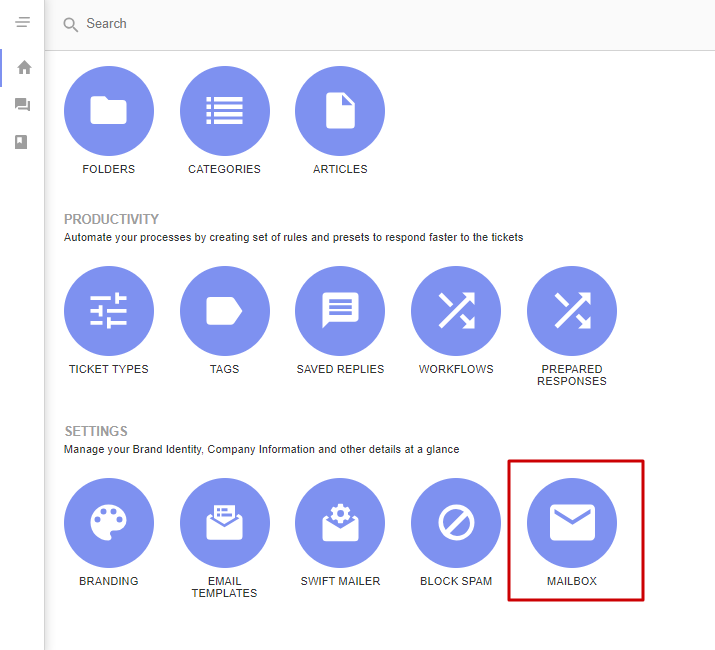 Now in this read you will be learn about mailbox configuration process that forward all incoming emails to dashboard as a ticket. Here i am drafting out few configuration steps to automatically convert your emails into the support ticket in the UVdesk. To configure UVdesk.yaml file first you need to open project into editor, when you will open project into editor you will found config package, just click on config. Now, under config => packages, you will find uvdesk.yaml file. Open uvdesk.yaml then you have to enter the address path of your public site url(ex. website.com/public) and update enteries in support email. For instance, you can check out below code like i have installed my project on local server so my site url should be “localhost/uvdeskhelpdesk/public” and support email enteries will be like given below. 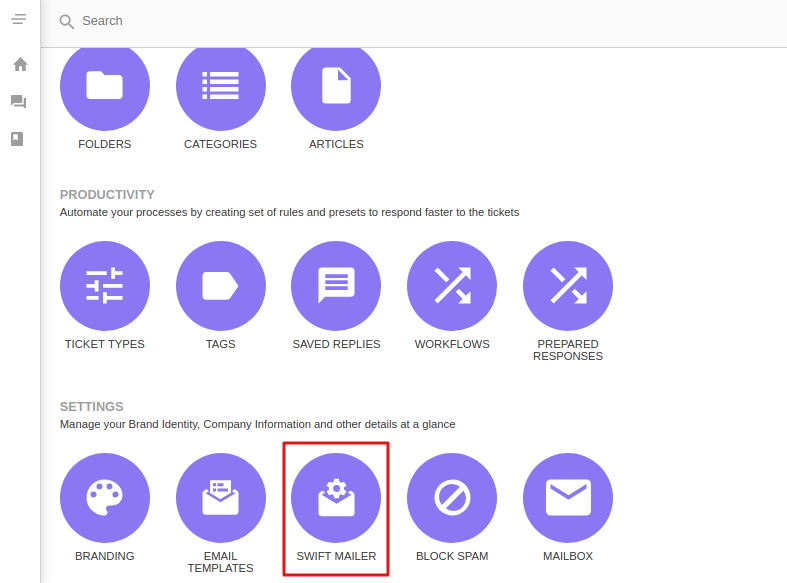 Step 1– When you will go to the dashboard, you will see “Swift Mailer” icon under setting section. Step 2 – Now, just click on “Swift Mailer” and hit on add new button. Step 3 – Need to fill out all below details and proceed with by clicking “save changes” button. Step 1 – Next step is to click on “Mailbox” option under setting and hit on “New mailbox“. IMAP Password: Enter password of given email. 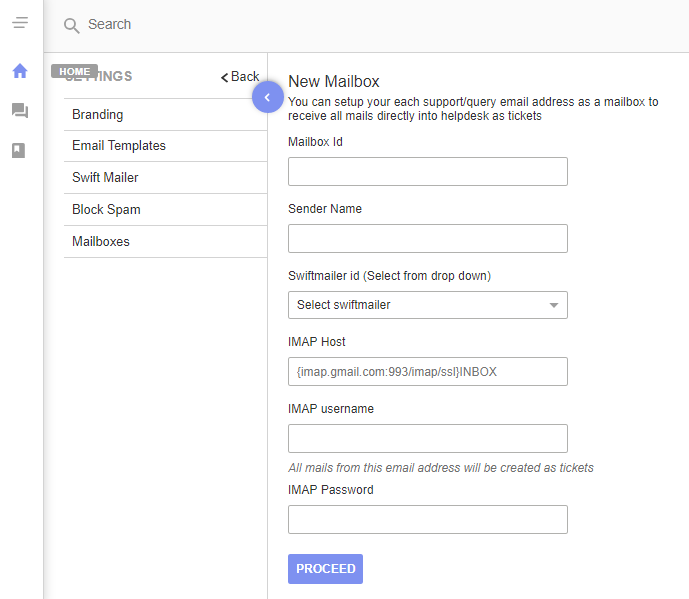 Here we have done all the settings of mailbox configuration, now you can able to send and receive emails over the ticket panel. That’s all for Mailbox Configuration. For any doubts or suggestions regarding the extension get back to us at support@uvdesk.com or raise a ticket at our Helpdesk system.